Radio Bobby: Top 5 New Music Releases (8/12) – BOBBY JAMES. After last week’s abysmal music showing – I could only find three songs worthy of Top 5 contention and their release dates were either limited/special (“Beautiful” by Ben Rector) or they were featured on iTunes after they were released (“Burn” by Ellie Goulding and “Free” by Rudimental f. Emeli Sande) … but never fear, Radio Bobby is back with a BANG! 1. “Applause” by Lady GaGa (pop) – Lady GaGa declared a “Pop Emergency” after high and low quality leaks of her song became available all over the internet a week before the “Applause” release date. 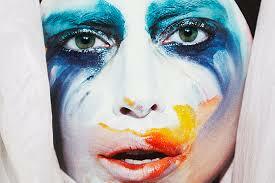 In a mad dash, GaGa released “Applause” to radio stations and iTunes. I contested she knew August 12 was my birthday – so she released it for me! Ha. Either way, the up-tempo track combines the vocal styling found frequently on her Born This Way album and pairs it with the electronic/dance backgrounds found on her debut album The Fame. Here’s GaGa, back for the win. 2. “We Own the Night” by The Wanted (pop) – a nice up-tempo track with typically nice vocals from The Wanted! 3. “The River” by The Darcys (alternative) – there’s an ambiance about this song that I’m drawn to. It’s a spoken, smoky lyric with a panic-inducing, percussive backdrop. Quite good. 4. “Roar” by Katy Perry (pop) – Perry looks like she’ll continue to face criticism for the song’s similarity to Sara Bareilles’ “Brave”, released about a month prior. That said, fans of “Brave” should have no problem liking “Roar.” There’s enough room is music for both, yeah?